Tell the app where you’re going! At DriveNow we’re all about making your life and your mobility more convenient. With our app you can save valuable time in your everyday life. Sometimes you just don’t have the time to enter your destination in the car. 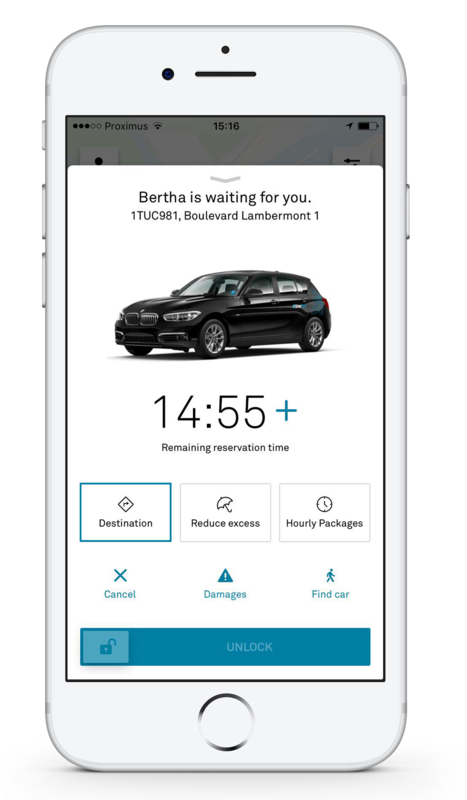 You can use the DriveNow app to enter your destination address and the app will directly send it to the navigation system of your reserved car. Thanks to the app, you just need to get into the car, enter your pin and start the engine. The navigation system will directly show you the way to your destination. This way you can start your trip right away. Confirm the details by clicking on ‘Save’.